Desh Bhagat University Faculty of Media Entertainment and Film Technology arranged an interaction of its students with the cast of the soon to be released Punjabi Film "Aatishbazi Ishq ". 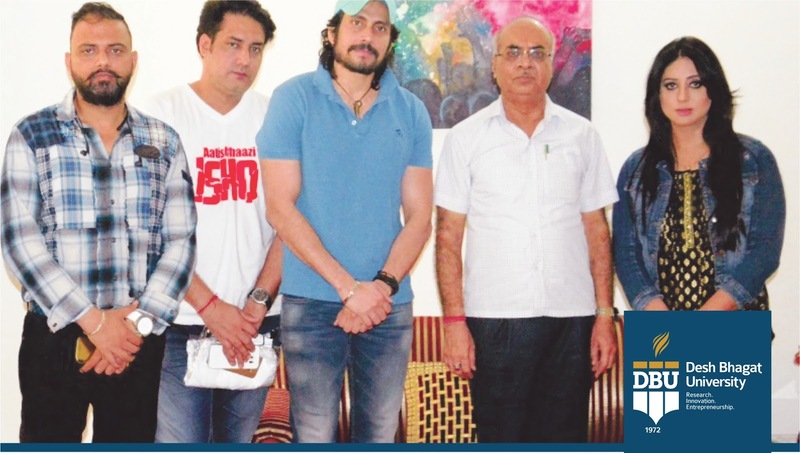 Famous Bollywood actress Mahi Gill who is in lead role and producer of this film also, came to the university, along with her full team including co-star Ravinder, Music Director R. Sheen, Writer Jagjit. S. Saini and others. 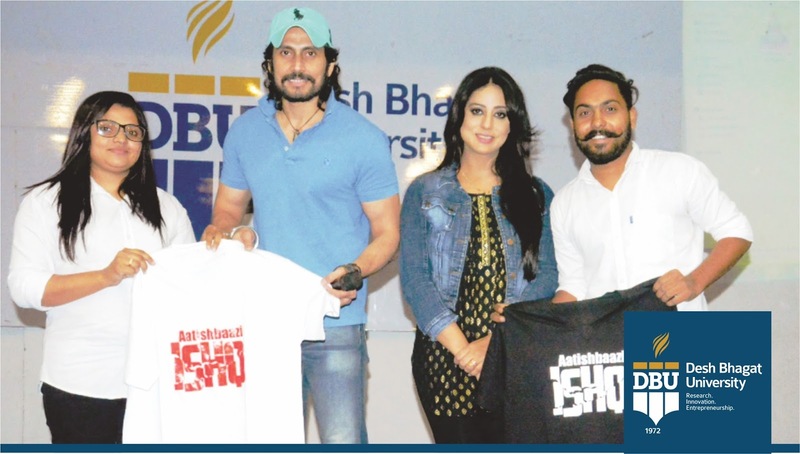 The team had come for the promotion of their film and they regaled the students of the university with dialogues and songs of the upcoming movie. 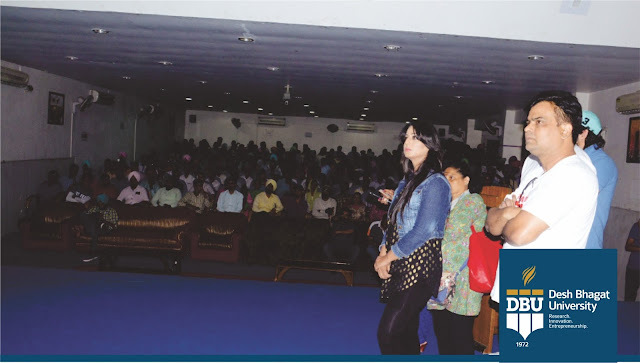 Interacting with the students, Mahi Gill and Actor Ravinder observed that the story of this film is very interesting and it will be liked by people of every age and every section of the society. When they performed on the songs of this film, the students enjoyed these so much that they started dancing out of joy. Anshu Sahni( famous with the name Preeto) also entertained the students with their old and new funny jokes. University Chancellor Dr. Zora Singh and Pro Chancellor Ms. Tajinder Kaur wished good luck to the film team and said that Punjabi Films have made a respectable place in the film world and the need of the hour is to make such films as can entertain as well as educate the viewers and give right direction to the society.